Ethan Hirschberg is a teenager with High Functioning Autism. In March 2017, he started a blog called The Journey Through Autism, where he shares his personal experiences, insights, and advice to individuals on the spectrum, parents, caregivers, educators, and providers. Ethan's goal is to educate, advocate, and inspire. Please check out his blog as well as his Facebook, Twitter, Instagram, and LinkedIn! A few weeks ago, someone who had just learned about my blog through my temple came up to start a conversation with me. She wanted to learn more about me and my advocacy work. After talking for a few minutes, she commented that “I have it easy.” I was confused and asked for clarification, in which the response was “you know…glamorous Autism.” I was taken aback. Multiple emotions rushed through my head: anger, confusion, but also determination. I felt angry because this person has no idea what I go through on a daily basis and still had the guts to tell me that I had it “easy.” I was confused because I could not understand how someone could say something like this to me. Finally, I felt determined to keep writing and advocating because although there is an increase in understanding in this world, there is still so much more work to be done. I researched this idea of “glamorous Autism” and, to my surprise, multiple articles came up. This newer myth that I am now aware of needs to be squashed! The Autism spectrum is diverse. Some individuals with Autism are nonverbal while some are high functioning savants. Each level of functioning within the Autism spectrum has its own set of unique difficulties. The difference between low functioning and high functioning is enormous and I realize that others have it much harder than I do. However, this does not mean that High Functioning Autism is “easy” or “glamorous”. High Functioning Autism has its own challenges that affect me on a daily basis. TO READ THE REST OF THIS BLOG POST, WHICH INCLUDES 5 REASONS WHY HFA ISN’T “EASY,” PLEASE CLICK HERE TO VIEW IT ON THE JOURNEY THROUGH AUTISM!!! This past April, when I presented at the Empower Autism Conference in Asheville, North Carolina, I was approached by a woman named Judith Canty Graves. She was one of the attendees of my breakout session. After giving me her compliments, she presented me with a book that she and her husband, Carson Graves, wrote called Parents Have The Power To Make Special Education Work: An Insider Guide. The authors have truly gone through the full special education process, as their son received special education services for fifteen years. 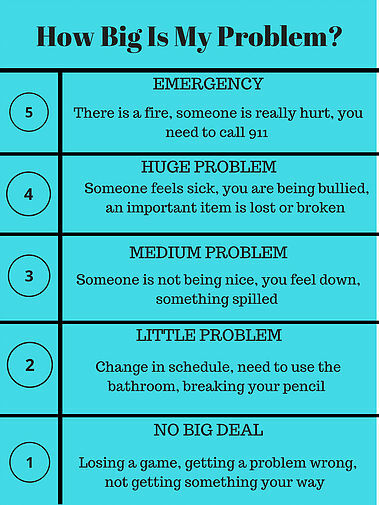 Because of this, they know exactly what types of problems parents may face. Readers are able to better understand the special education process through the authors’ clear and valuable insights. I wholeheartedly recommend this book to all parents involved with special education, no matter what age or what condition their child may have! 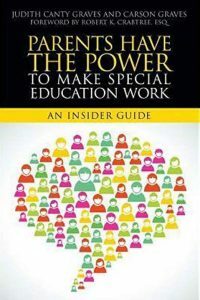 The book starts out with an introduction to special education, which includes important acronyms and definitions, the history, developing state and federal laws, funding, and the future of special education. This is a truly interesting preface to the content that follows. If you would like to read the rest of this book review in order to learn why it is so amazing, insightful, and valuable, please click here to see it on my blog, The Journey Through Autism! In everyday life, there are thousands of things happening. Some of these are big deals while some are little deals. Many people on the spectrum have a difficult time trying to differentiate “big deals” and “little deals.”; in other words, what TO make a big deal out of and what NOT TO. This whole “choosing your battles” is something that I still have a hard time comprehending. A few months ago, I was in my third period chemistry class. My teacher was handing back a quiz that the whole class previously took. When I got my quiz back, I saw that I was marked off three points. I was confused because I checked my work multiple times and still got the same answer. Then, when my teacher recited all of the answers out loud, I proved my suspicions. I saw that my answers were correct but points were still deducted from them. Later that class period I went up to my teacher and respectfully asked him why I got points marked off. He looked at my answers and said, “Because they are wrong!”. I wrote down these three answers: “49.00, 52.00, 53.00.” He said that the correct answers were “49, 52, and 53.” I did not understand why he was marking me down points since my answers and his answers were equal. Before I go any further, the numbers were numbers of atoms, and atoms cannot be divided according to Dalton’s Atomic Theory. He told me that because I added the decimal and two zeros, I indirectly inferred that atoms could technically be divided. I was extremely upset but didn’t show it. I sat back down at my desk. The next day, I had a meeting with my school case manager. I told her about what happened. With math and science being her strong suit, she understood my teacher’s decision. However, she also completely understood mine as well. I was so upset that I wanted to submit a district grade dispute! I would have usually gone through the department chair, but since my teacher is the department chair, that was not an option! I was so ready to file that paperwork and get my three points back! But then my case manager asked me “Is this a big deal or a little deal?”. After talking for a while, we decided that this was a little deal because it was only worth three points and, even if I got them back, I would still have to be in class for many months to come with a teacher that would dislike me because of the dispute. These types of situations have come up in my life ever since I was a toddler and my parents and special education team have helped me come up with some things to do in order to determine if a scenario is a big deal or little deal, along with how to act on it. 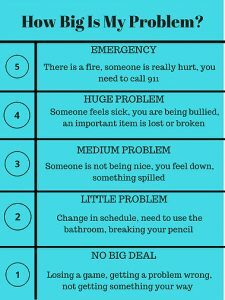 I created an infographic that you may be able to use in order to demonstrate what problems are big and which problems are little. Check it out below! On a more personal level, I force myself to reflect. This is usually hard for me to do since all I want to do is act immediately, but fortunately, I (through mistakes of acting too quickly) have learned how to stop myself. I ask myself if this particular problem is a big problem worth getting worked up over, or if it’s a smaller deal that I should just let pass over. I sometimes even get advice from my parents or special education team if my emotions are running too high at the moment and I am not able to think clearly and reflect. If I am really angry about something that I know is a smaller problem, I sometimes think about bigger problems that my peers are facing and realize how lucky I am to only be having this little problem. If you are on the Autism spectrum: reflect, reflect, reflect! It really does pay off to slow down and calm down! I rarely make good decisions when my emotions are too high. I am learning to take the time to calm down and think things through before I decide how I should act. If you are a parent: help your child come up with his/her own chart to help decide if something is a big or little deal. If you are an educator: take the time to talk with your student if you notice that he or she is about to turn something little into something big when it doesn’t have to be. Help him/her to calm down and then talk through the issue. Don’t blow them off because you don’t see it as a big deal. Your student hasn’t come to that same conclusion yet! As a teenager with High Functioning Autism, I have been trying to find a book written by a professional in the field that not only is interesting, but factual. When I say factual, I am talking about information that truly represents the mind of someone on the spectrum. No stereotypes, no misrepresentation, just pure knowledge. 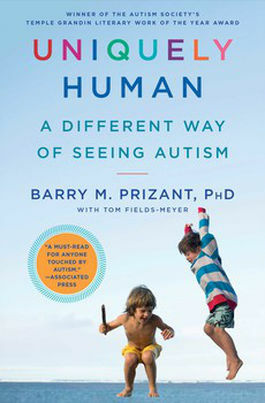 This past November, I found that book… Uniquely Human: A Different Way Of Seeing Autism by Dr. Barry M. Prizant, Ph.D., CCC-SLP with Thomas Fields-Meyer. Uniquely Human: A Different Way Of Seeing Autism starts out by stating that the treatment of Autism is a largely unregulated enterprise. I completely agree. 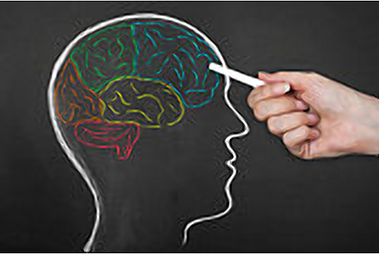 There are certain licensing requirements for licensed psychologists (Ph.D./PsyD) and board-certified behavior analysts (BCBA). But, there is no other agency checking up on providers making sure that they are doing the right things for the right reasons. Because of this, there are some professionals who unknowingly worsen the situation that they’re trying to help. Dr. Prizant also states something that foreshadows the rest of the book. He says, “Autism isn’t an illness, it’s a different way of being human.” When I think of this, I think of a famous quote by Stuart Duncan, “Autism isn’t a disability, it’s a different ability.” Everyone is different in their own way. The last thing that really stood out for me when reading this book was the author’s take on social language. Dr. Prizant said that people with Autism have a hard time learning a social language. He then gives a genius analogy: learning a social language is like learning a second, foreign language to someone on the spectrum. It’s harder to achieve the same fluency level as native speakers. These native speakers are “typical” people while the foreign language applies to people with Autism. This gives me a whole new perspective on my troubles with social skills knowing that in a way, it’s a foreign language to me. Dr. Prizant said that in the real world, people with Autism are left to fend for themselves; navigating a reality that makes sense to everyone else but them. For individuals with Autism, comprehending the social world can mean living in a state of confusion. This is so true for me! There isn’t a day that goes by where I don’t get confused, stressed, and frustrated over my social skills. I have trouble seeing and understanding social cues, hints, sarcasm, facial expressions, etc, which makes it so difficult to understand what everyone else knows. I recommend Uniquely Human: A Different Way Of Seeing Autism to anyone who is affected by Autism. I have not only gained insightful knowledge from reading this book but have been reminded that I’m not the only one. I especially encourage all educators and providers to read this one-of-a-kind book (it really helps). Thank you, Dr. Prizant, for not only providing me with the best book that I have ever read but for giving me more inspiration to better discover myself! Please help us welcome Ethan Hirschberg to the Aspergers101 family of bloggers! Ethan will offer his insights to living on the autism spectrum first-hand and we think you will be inspired, informed and delighted as much as we are! In his first blog with us, his Mom answers questions basic to families facing the diagnosis of autism. My parents have been my rock throughout my journey with Autism. Both of them have helped me so much and I can never thank them enough. All I can do is love them! My mom and dad are the best parents that I could’ve ever had. They love, support, advocate, and care for me and my brother. If I can be half of a person that they are, I’ll be just fine! Before I publish my next blog post about some of my challenges during the winter holidays, I interviewed my mom and asked her a few questions about her personal experiences with caring for me (a teen on the spectrum). 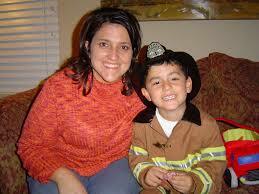 Question: When did you find out that Ethan was diagnosed with Autism and how did you feel? Question: What made you suspect that he could be on the spectrum? Question: What has been the worst part during Ethan’s life?